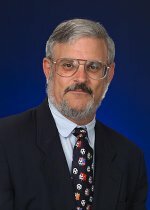 Congratulations to Dr. William D. Samuels on being selected for the 2007 Outstanding Mentor Award. This award recognizes U.S. Department of Energy Office of Science laboratory staff whose dedication and leadership have substantially contributed to the practical education of the country's future scientists. Samuels was selected because of his commitment and work in developing a rich learning environment for the students. "I learned a lot at the laboratory because my mentor was always available and explained things to me when I asked," said Sarina Dorazio, a community college student mentored by Samuels. "I could always stop by his office, or call his cell phone, or see him in the lab that I was working in." In his years of mentoring and working as adjunct faculty at Washington State University, Samuels has developed a mentoring philosophy centered on giving students a specific project and being available when they have questions. Also, he works to develop basic technical skills and an appreciation for the ups and downs of laboratory science. In addition to mentoring, Samuels conducts research centered on Battelle's award-winning deicing materials for airplanes, runways, and highways. Currently, he is working on understanding how all of the chemicals in the deicer react, both within the material and with everything they could contact, from runway asphalt to airplane brake shoes.